On Sunday, in front of a crowd of over 100,000 people, Pope Francis bestowed sainthood on Mother Teresa. Crowds at St Peter’s Square welcomed the news with much fervour and joy. 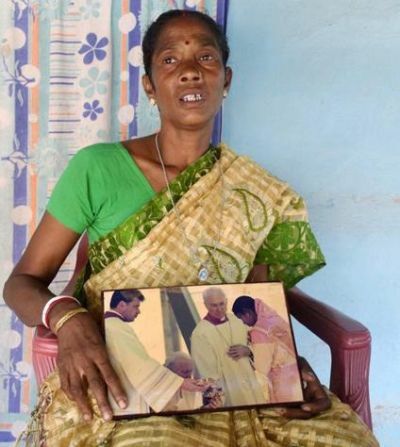 As the gentle carer of the ‘poorest of poor’ became a saint on Sunday, Rediff.com looks back at the two miracles that she performed, paving the way for her to be called a saint. The first miracle dates back to 2003. Monica Besra, a tribal woman from West Bengal, complained of acute pain due to a tumour that had been diagnosed in her abdomen. After having visited a number of hospitals and doctors, she had not been cured. 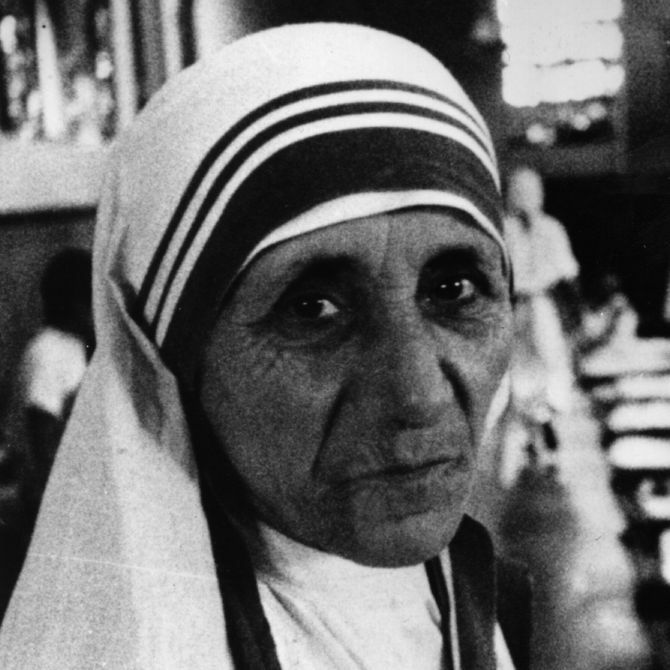 In May 1998 she was admitted to the home run by the Missionaries of Charity order in the town of Patiram. On September 5, 1998 -- exactly a year after Mother Teresa’s death -- nuns placed a tiny aluminium medallion that had been blessed by the future Saint Teresa of Calcutta on Besra’s stomach and prayed for her. “Two sisters carried me to the church since I was too weak to stand or walk by myself,” the 50-year-old said. “I got up from my bed feeling so light and good. I looked down to see the giant lump had disappeared. I couldn’t believe it. I touched that part, poked it, pinched it. It was really gone. I wasn’t dreaming it,” said Besra, who still wears the medallion around her neck. The next day she was proclaimed cured, a feat hailed by the Vatican as a miracle. In December 2008, a Brazilian man, Marcilio Haddad Andrino recovered from multiple abscesses in his brain. 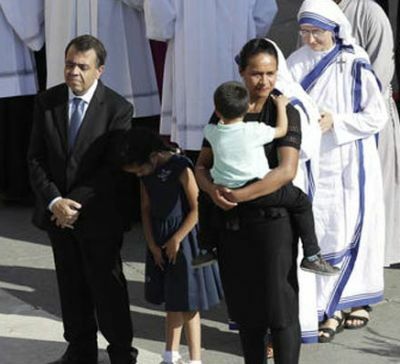 His wife, Fermanda Nascimento Rocha, said she and her family began praying for Mother Teresa’s intercession after receiving a relic of her in September 2008. By December of that year, despite powerful antibiotics, the brain abscesses and fluid had built up so much that Andrino was suffering debilitating headaches. She said she went to her mother’s home and prayed ‘with all the strength I had’. When the surgeon returned to Andrino’s room, he was awake, pain-free and asymptomatic, according to the priest spearheading Mother Teresa’s sainthood cause, the Reverend Brian Kolodiejchuk. Within six months, Andrino said Friday, he had returned to work. Soon after, the couple conceived the first of their two children, though Andrino had been told that the powerful drugs he had taken had made him infertile. He calls his two children ‘the extension of that miracle’.